The adapter is connected to the monitor via RCA cable. 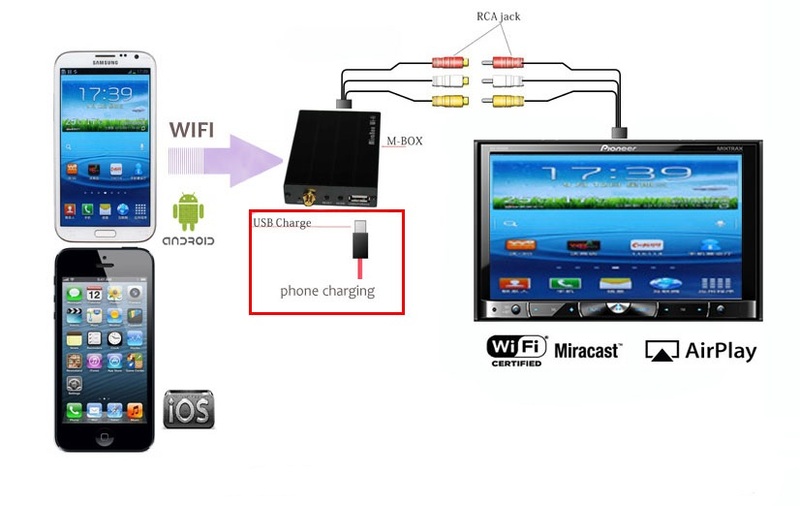 iPhone/iPod/iPad or Android phone/tablet PC connects to the adapter by Wi-Fi and thus streams video and audio to the connected monitor. Screens mirroring function is also supported for connected devices. *Incorrect operation of the adapter may happen when streaming video from iPhone 6.